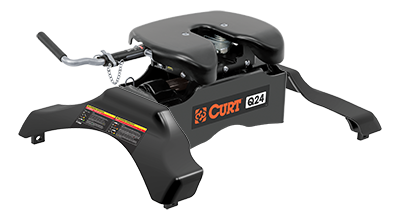 The CURT Q24 5th wheel hitch is built for the quietest towing possible. It is rated for trailers up to 24,000 pounds GTW and is compatible with a roller for use in a short-bed truck. The Q24 5th wheel hitch is also available with a variety of other mounting options.